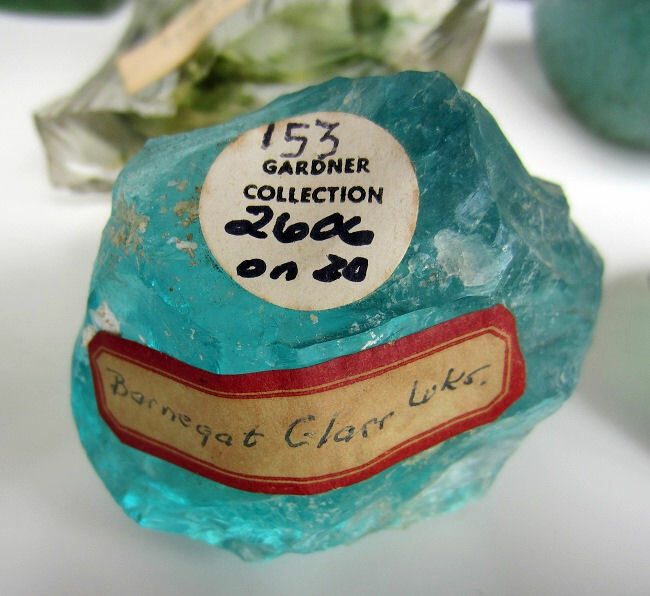 How I ended up acquiring an entire lot of American glasshouse archaeology pieces from the most legendary collector of American bottles and glass, Charles B. Gardner, still boggles my mind. I acquired this lot from two different persons, in two different towns. 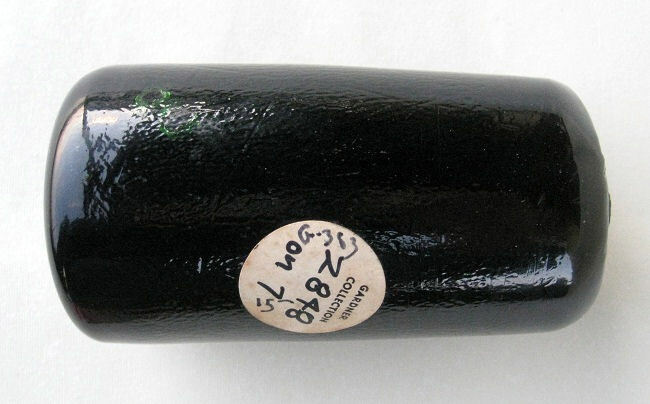 The Skinner Auction Lot #2606, one part of his entire collection of some 4500 items which sold in 1975 for $1.5 million, is featured below. 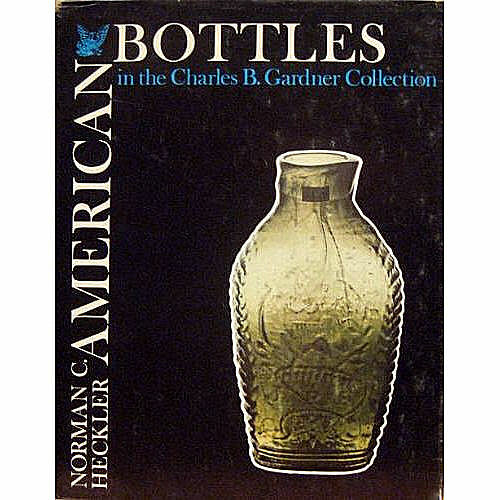 The Auction book, “American Bottles in the Charles B. Gardner Collection,” by Norman C. Heckler, illustrating the Charles B. Gardner Collection that sold at Skinner’s Auction in 1975. 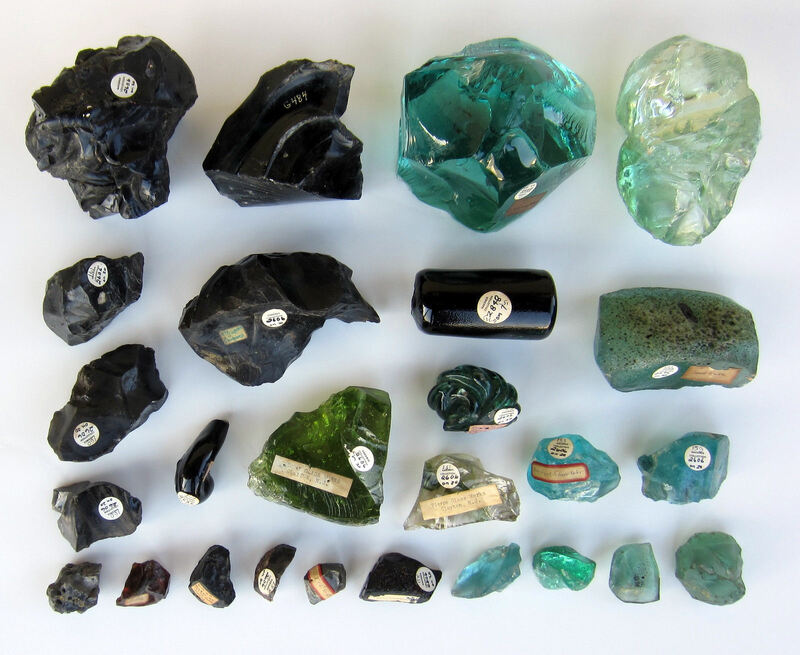 Charles Gardner Lot 2606: Glass Fragments, Lot of twenty pieces of colored glass fragments with labels of factory origin. 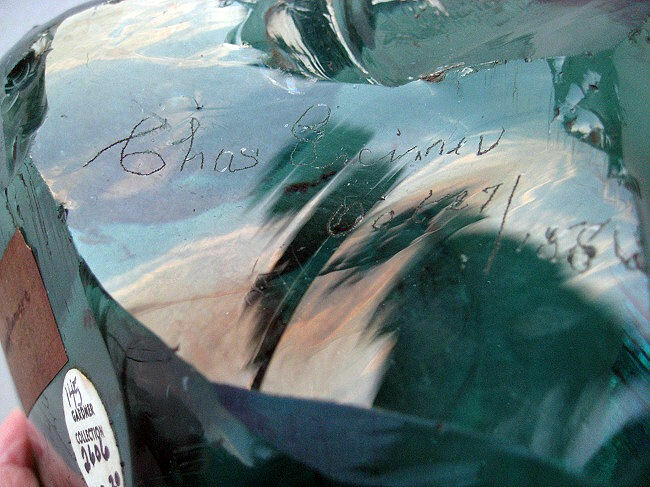 The history and colors are fantastic and feature some of the most amazing pieces of glass from quite a range of glasshouses dating from the 1770’s to the early 1900’s. I have five extra pieces, and all either feature the original Skinner’s auction stickers and labels of various ages describing the glasshouse locations they are from. The five extra pieces have Gardner’s own, hand painted in gold, catalog numbers, which are also found on some of the other pieces. 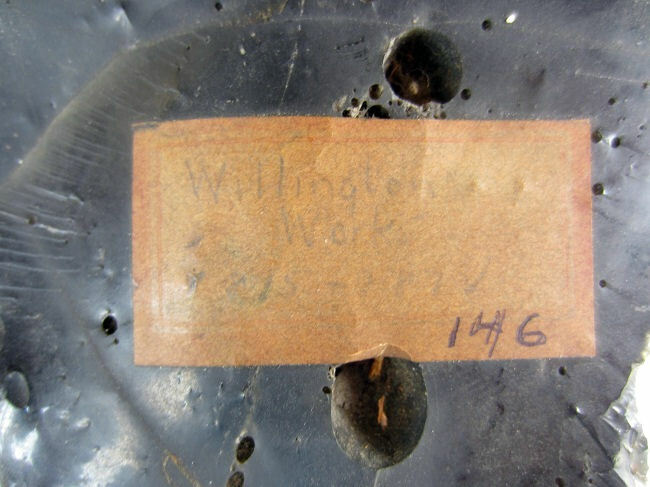 These historic pieces include everything from the early 1800’s Stoddard Glass Works in New Hampshire, to the early 1800’s Willington Glass Works in Connecticut, and also the 1770’s Henry William Stiegel Glass House in Manheim, Pennsylvania, just a 15 minute drive from my house. Some are from glasshouses I have never heard of before. 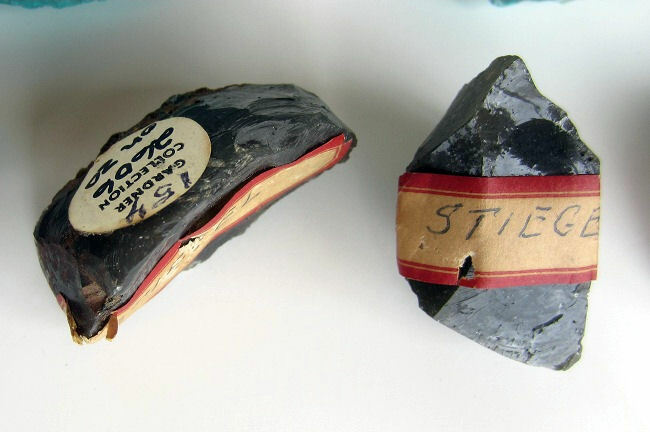 Above is a Stoddard labeled piece in a medium to large size. 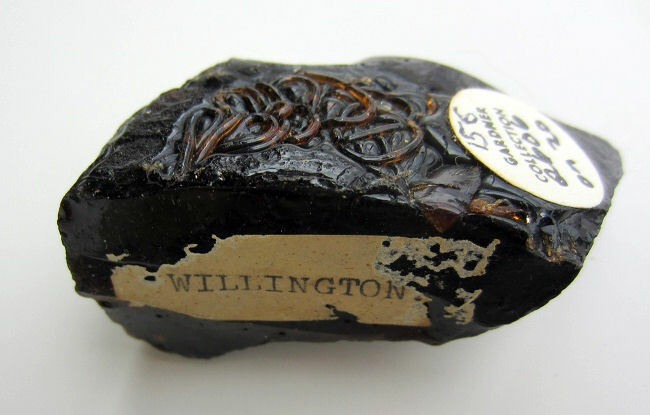 This Willington smaller piece is very unusual, note the “caramel swirls” and drips in the top. Two grayish-green pieces from Henry William Stiegel’s Glass Works located in Manheim, Pa, a 15 minute drive from me. These date to the 1760’s to 1770’s. 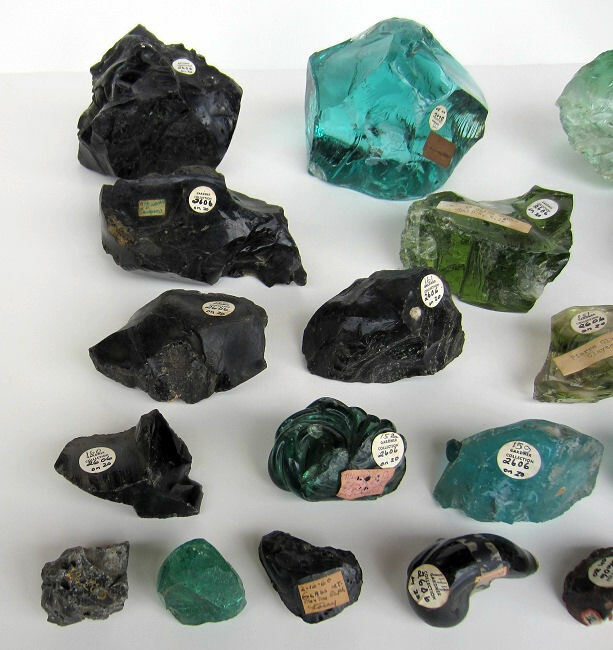 The Stiegel Glass Works had permanently closed in 1780. He named the town Manheim as the German farmers had called it ‘Stiegel Town’ prior to his renaming it. 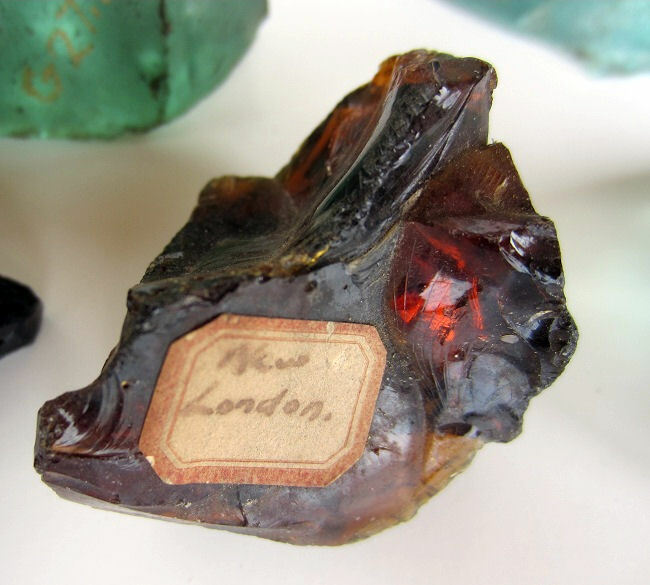 A beauty of a piece of history from the New London Glass Works. 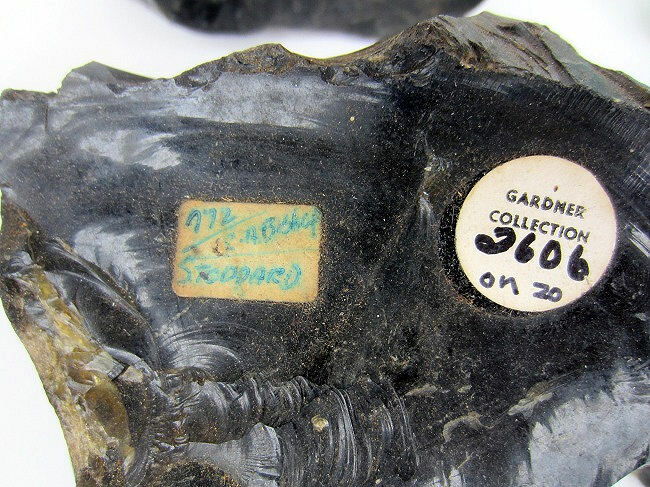 Charles Gardner was from New London, Connecticut, and may have found this one himself, as he did enjoy exploring old glass house sites for fragments and also acquired examples from others that were dug from the grounds of historic glasshouse sites. 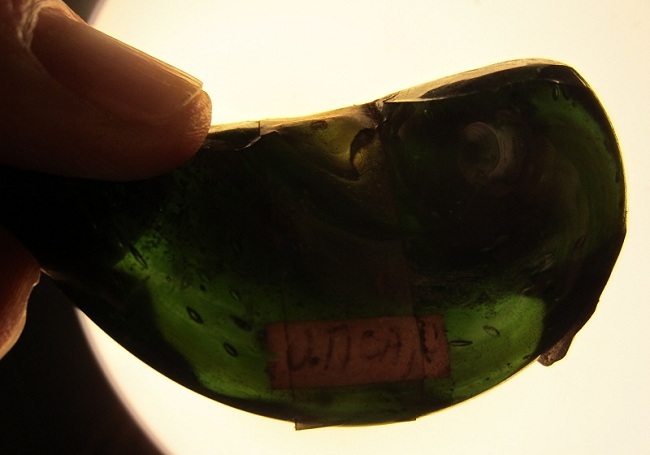 This deep green “drip” piece is from Utica Glass Works, Utica, New York. This glasshouse made window glass from what I am told. 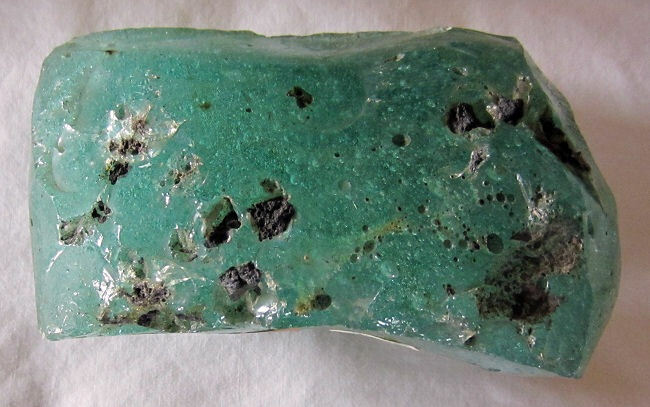 Finding a dark green piece from this location is very unusual. 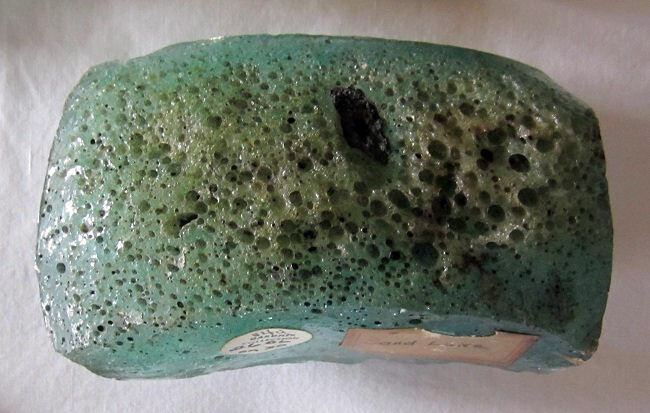 This is a unique piece from Meadville Glass Works in Pennsylvania, and features a ‘lumping together’ of possible wafers in a nice green color. 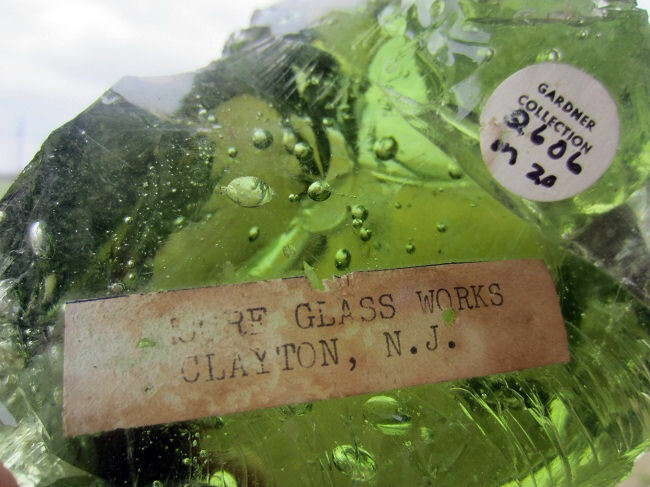 A very beautiful large and deeply citron green colored piece from Moore Glass Works in Clayton, New Jersey. Closer detailed photo of the Moore piece. 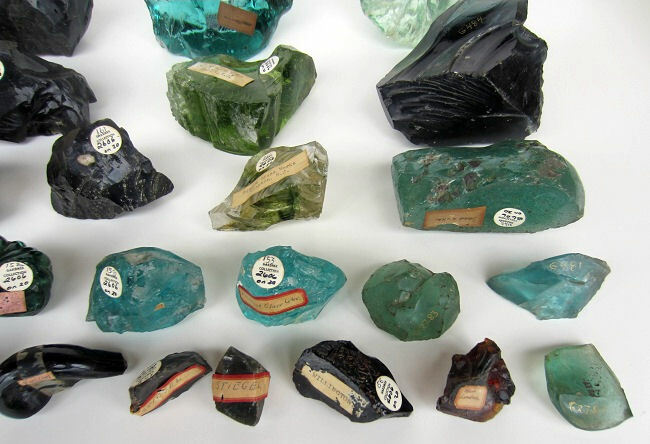 Above shows the contrast of color in these fantastic pieces of American glasshouse history. Seeing his Obituary and knowing who he was makes this piece even more special. 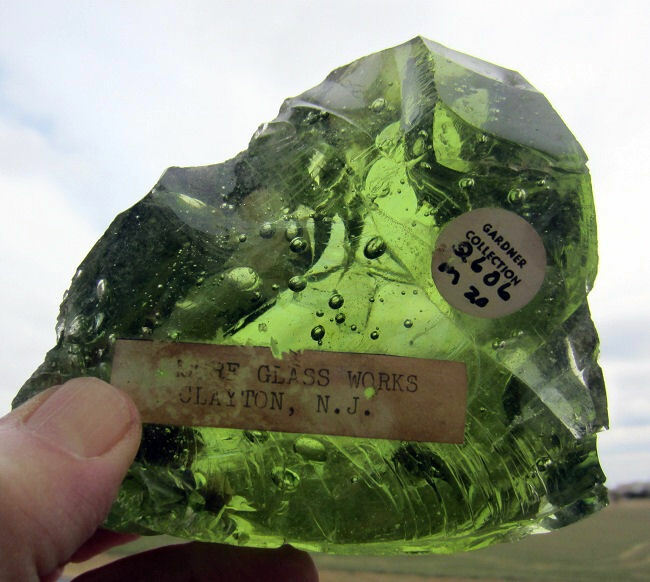 Barnegat Glass Works in New Jersey, built in 1896 and operated until 1914. 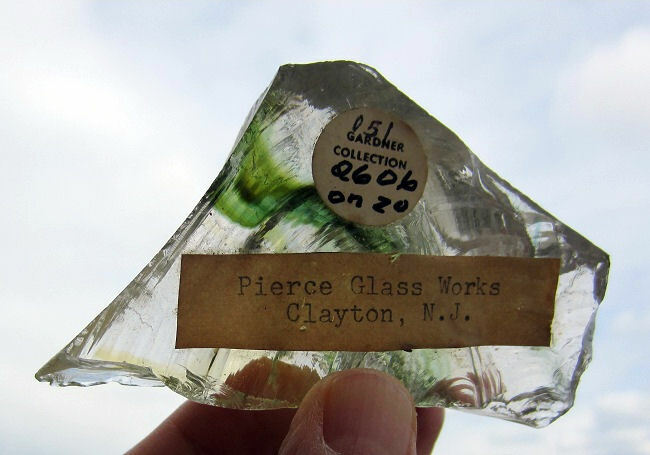 This Pierce Glass Works piece from Clayton, New Jersey, is more of a citron yellow as it appears in photo. Note the beautiful green swirl running through it. Quite an interesting and large piece from Sand Lake. 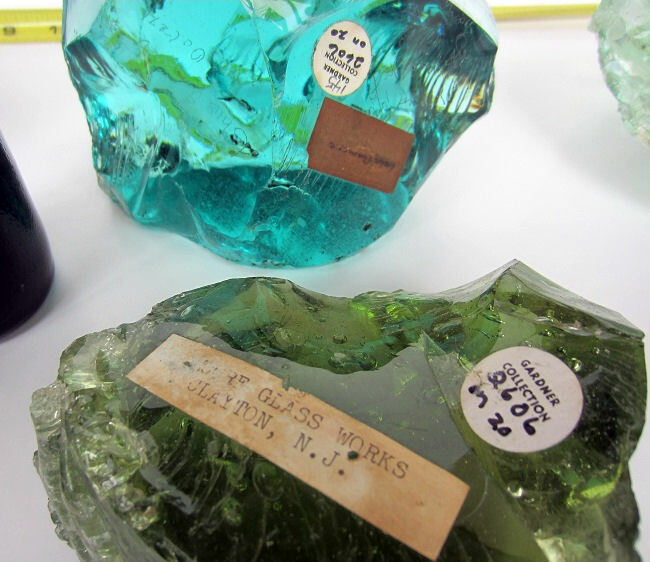 Sand Lake Glass Works was in a township in Rensselaer County, NY, Started in 1818 by Crandall & Fox. An interesting effect in the Sand Lake glass, most unusual. Other side of the Sand Lake piece, also most interesting. 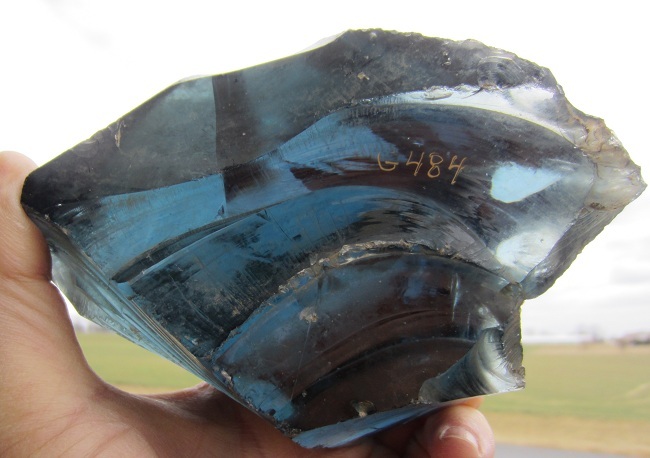 A very large Sapphire Blue piece, glasshouse unknown, but note Gardner’s catalog code he painted on it. Another Gardner piece featuring the identical hand painted code. 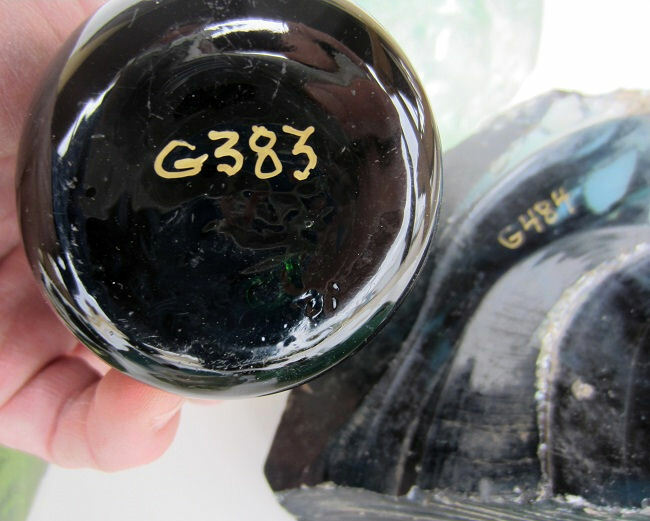 This is the base of an Emerald Green ‘Color Block’ from the same Gardner Auction, but is from Lot # 2848. 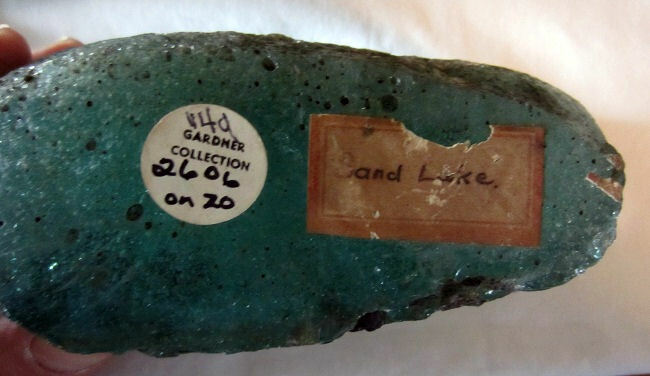 The side view of the green color block showing the Skinner Auction sticker and lot number 2848. A view of the pontilled and shear cut separation of the green color block. This is a most unique piece; there is no other like it. 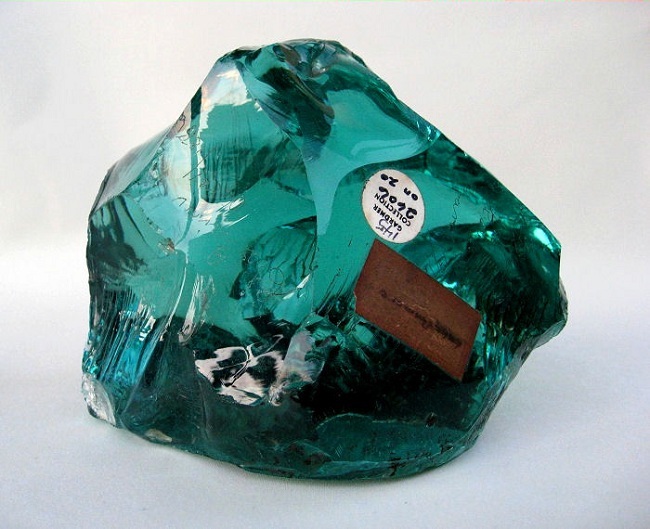 A grapefruit sized very deep aqua piece from Lake Dunmore Glass Works, the first Glasshouse in Vermont, which only operated from 1813 to 1817, then closed, and then reopened from 1832 to 1842 before their furnace fires went out forever. 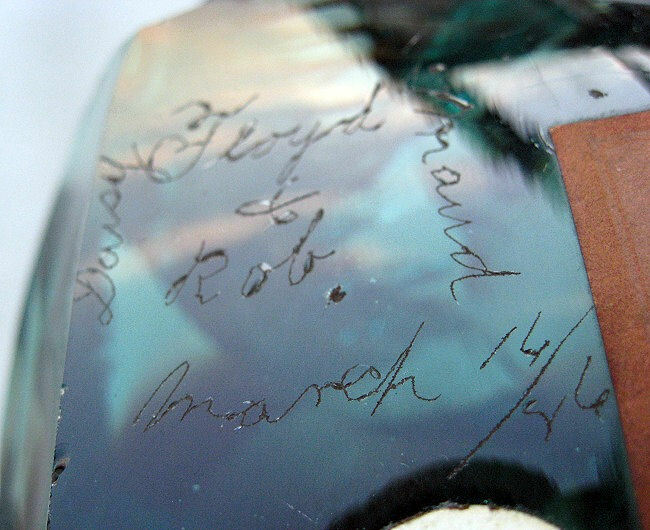 This piece really has a history due the finders of it engraving their names on it in March and October of 1886. 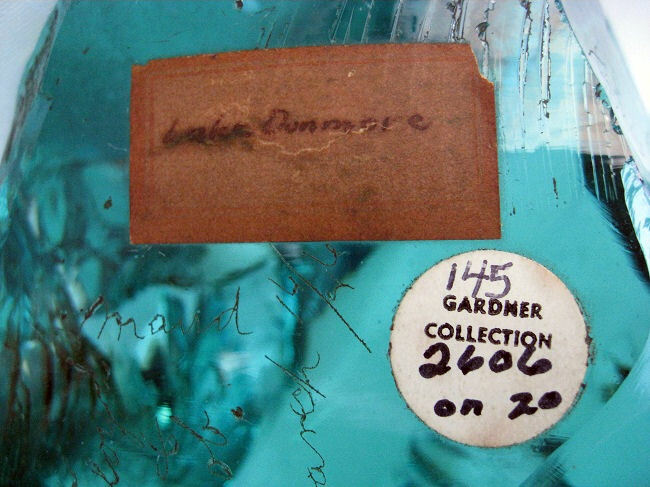 Photo showing the 1800’s pen inked label “Lake Dunmore,” and the Skinner Auction sticker. Note the engraving dating March 1886. 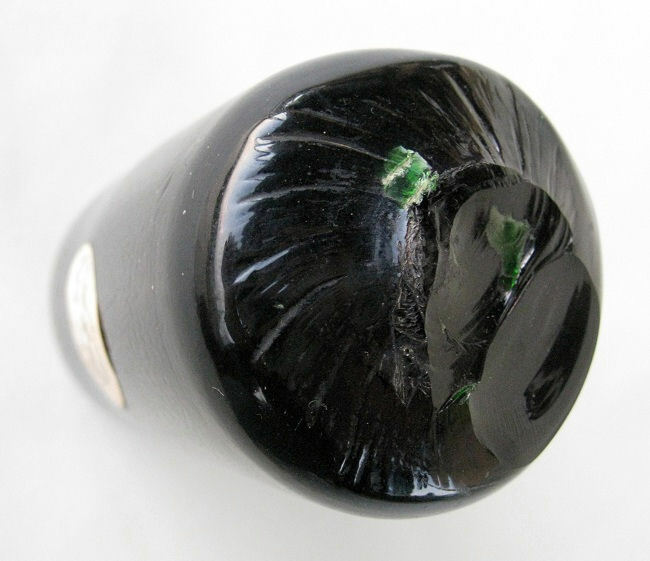 Three words are engraved in it’s ‘base,’ two are undiscernable, but “Maud” is clearly evident in the middle. 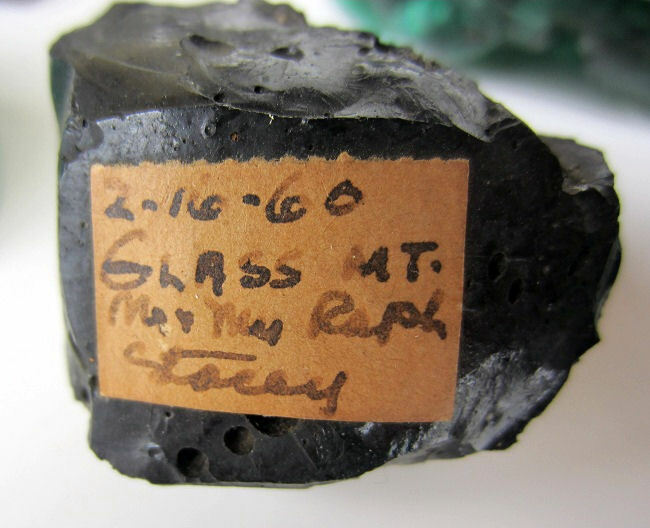 This is a most unique and amazing piece of Glasshouse history. 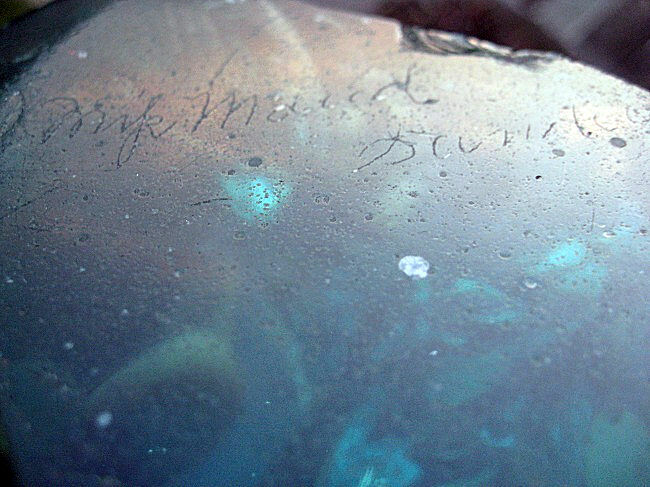 The names engraved are that of townsfolk or tourists who found it. A fascinating historical mystery and a stunningly beautiful piece. 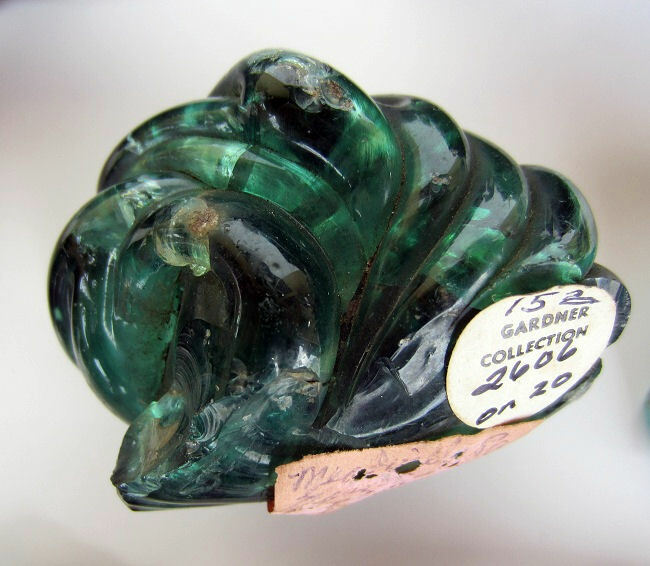 This piece dates to either the periods of operation of Lake Dunmore Glass Works from 1813-1817, or 1832-1842. Wow. 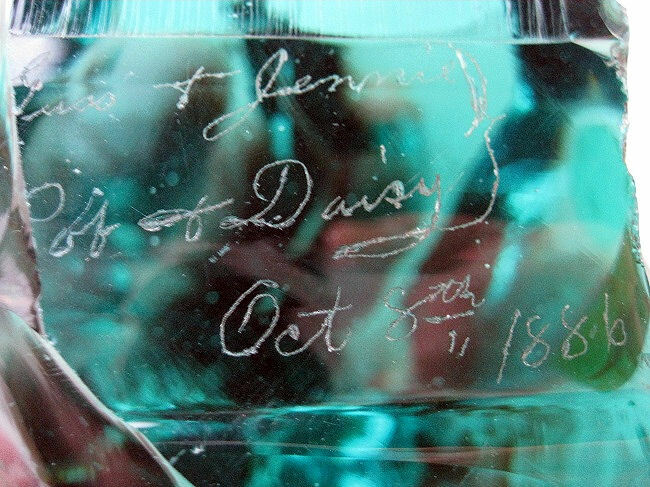 26 astounding pieces of American Historic Glass from the most famous collector of all. My mother always said I was good at finding things.